It’s not uncommon to hear about a friend, neighbor or family member who decides to sponsor a child in a developing country. To provide basic necessities and educational opportunities to those in need is an honorable thing, but how many of these stories involve a long-term friendship with annual visits, family meetings and running marathon races together? That is the case with Petra Kilian and Edward Solomon. And thanks to the Red Sweater Project, the student and his sponsor have a unique story to share. Petra, an endurance sports coach from Madison, Wisconsin, had previously visited Tanzania to explore on safari and donate supplies to local primary schools in the area. Prior to her third trip to the country, Petra was introduced to Ashley Holmer and the Red Sweater Project through a mutual friend in the US. 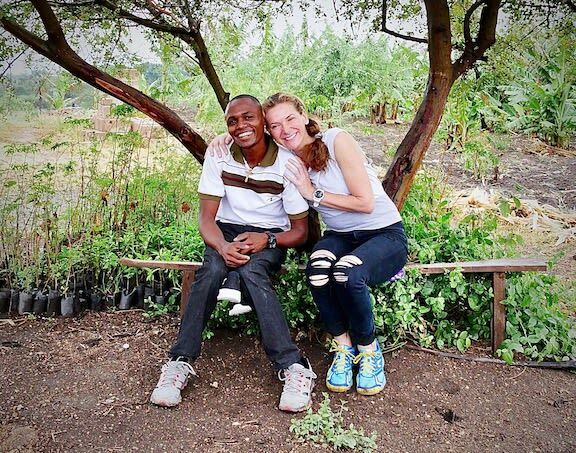 After learning about the success rates of the organization, Petra decided to sponsor a student at Mungere, and she was introduced to Edward. Upon hearing so many good things about his achievements in school, Petra felt there was something very special about Edward. So, she decided to visit the school during her next trip to Mto wa Mbu, and she was not disappointed. 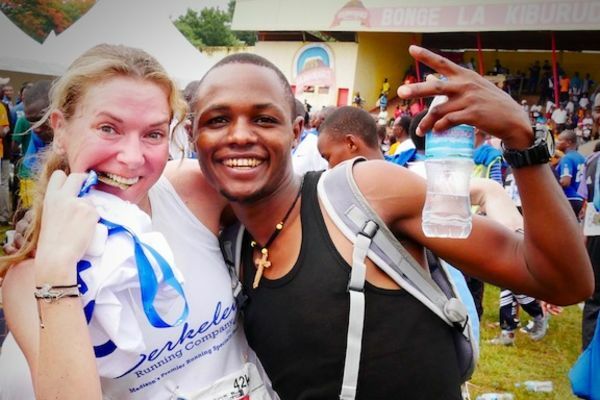 To celebrate his acceptance to school, and their mutual love for running, Edward and Petra decided to run the 2018 Kilimanjaro Marathon together. For this special trip to Tanzania, Petra was able to network with friends and associates in the US, allowing her to accumulate over 100 pairs of running shoes, soccer cleats and additional sports gear, which she brought along on her journey and donated to Red Sweater Project. On March 4th, 2018 the race was underway. The marathon course presented sizable hills like waves spread throughout the entire race which, when mixed with the high humidity, posed a challenge for many runners. Being a veteran marathon runner herself, Petra decided that the half marathon was a better choice for them that day.